A space that needs to be both practical and comfortable, a bathroom renovation can not only make a big difference to the feel of your house but to your life at home. Whether it’s a full overhaul or small design upgrades, choosing a new look for your bathroom isn’t easy. 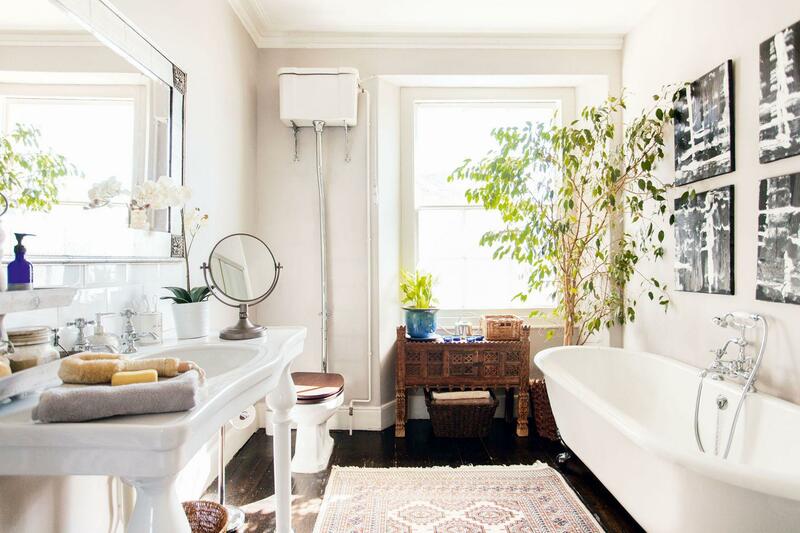 To give you some inspiration, we’ve scoped out the very best bathrooms across Bristol, each with incredible ideas for your own renovation. 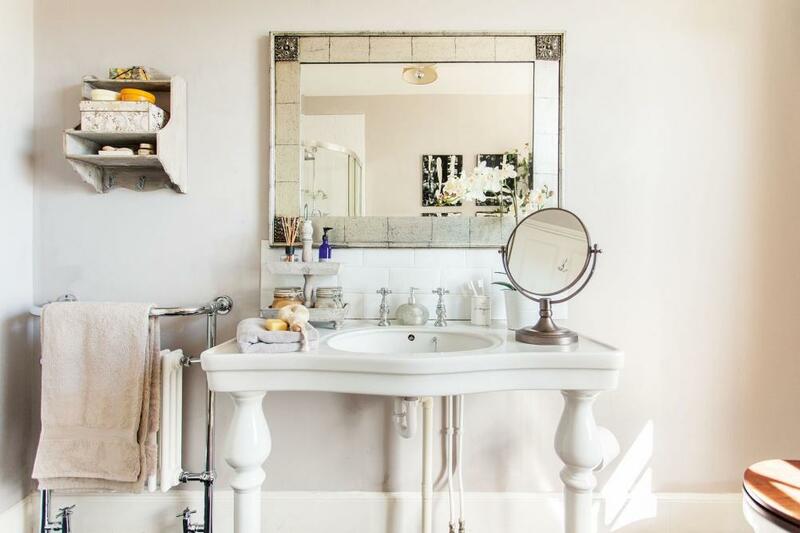 From the heights of Clifton to the South banks of the River Avon, modern minimalism to Victorian opulence, we’ve found beautifully decorated bathrooms that will inspire any style. How Should You Renovate Your Bathroom? Part of a Grade II Listed Georgian terrace house, this bathroom manages to seamlessly integrate existing period features with a modern approach to accessorising. The simple ceiling cornicing and Georgian sash windows were left intact, and the original pine floorboards were reconditioned in order to maintain the period look that matched the rest of the house. Maintaining a modern minimalism, the walls and floorboards are painted in classic beige and ebony tones to allow the fixtures to make the real statement. Tiles are used only inside the shower area and around the basin to create an authentic period look. 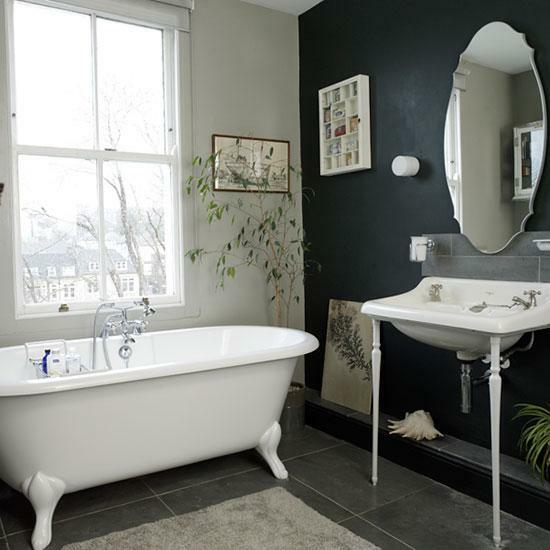 The roll-top acrylic bath with black cast-iron feet and high cistern WC are the rooms real focal points. Alongside a Victorian style washstand, set against the wall to create more space, the bathroom fixtures balance function and design well. The high cistern increases the power of the flush and the washstand is finished in baked vitreous china, which is stain resistant. The large window, light colours and weeping fig plant add light and freshness to the small room, creating the illusion of more space. Accenting the room with a beautiful Tibetan cupboard inherited from her grandmother and paintings created by the couple’s son, the bathroom is both stylish and warm. Another Grade II Listed building, this house overlooking the Clifton Suspension Bridge hadn’t been touched since the 19th Century. In an effort to maintain as much of the original feel of the house as possible, and to preserve the history of the building, all the doors and windows were restored and painted a custom colour. Continued through onto the interior woodwork, the blue creates a unifying theme throughout the home. The design of the custom made windows reflects the original use of the home as a Coach House and creates the illusion of space inside relatively small dimensions. Despite the history of the home, the bathroom is simple and modern, allowing the window focal point to speak for the room. A dark feature wall is used to add drama to the soft colour palette that is continued from the rest of the house in the floor and wall tiles. The tall window, rug, and plant life are used to make a calm space that is ideal for a long, relaxing soak. 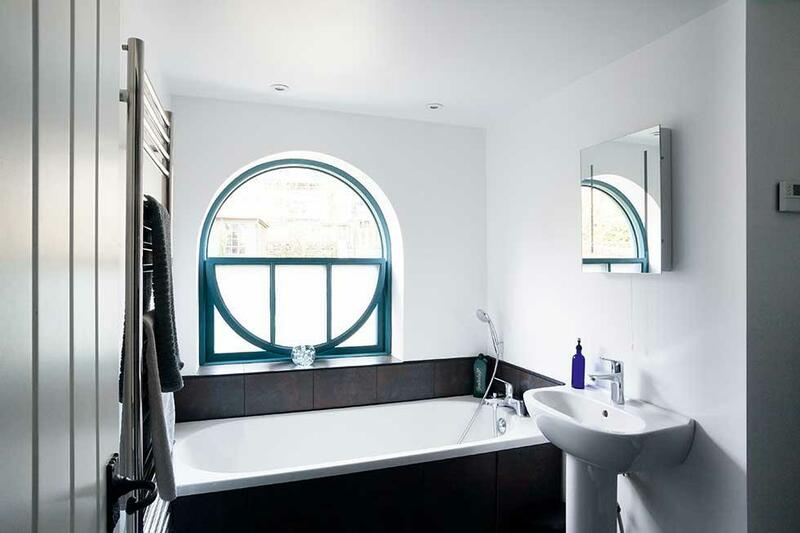 Whilst the large Victorian window, and clever use of a large mirror, allows for light to alleviate the darkness of the colours and create dimension. The key to using dark colours is to ensure that they have warm tones, like the grey and even the black here. These bathrooms are all about making a statement. Not afraid to mix bold, but complementary colours, different textures or allow empty space, the bathrooms at Number Thirty Eight scream modern luxury. The townhouse accommodation, based on Upper Belgrave Road in Clifton, beautifully uses partitions and open plan design in order to create an intimate space. Relaxation is implied by the pairing of each tub with a soft, velvet chair and the freestanding tubs, large windows and liberal use of mirrors develop the space. And check out that view. Deciding how exactly you’re going to decorate your bathroom is an important facet of a bathroom renovation, however, are there other things you should be considering? Before you grab your power tools and ahead in, it’s vital that you research and familiarise yourself with the building regulations of your local authority. Especially if you’re lucky enough to live in a listed building, which are often under a strict set of regulations as to what can and cannot be modified. In some homes, it is the fixtures themselves, rather than the structure, which are what give the building its listed status – so even if your refurb is only superficial, it’s still important to check with your council first. We’ve spoken before about the differences between planning permission and buildings regulation approval. Whilst the former deals more with the environmental and aesthetic impact of a certain project, the latter focuses more on health and safety standards. Both, however, are important. Several building regulations apply to bathrooms, mostly in relation to safety, hygiene, ventilation and electrical safety, including lighting. Access to sewers and windows that can provide adequate airflow are important for regulations. You also need to ensure there is adequate water pressure for all the fittings and a sufficient hot water flow rate – a plumber can advise on this. Before you buy anything or contact a plumber, it’s always best to draw up a floor plan for your proposed bathroom. This can help you estimate the space required and ensure you have enough room for your particular design. You can also try out different layout options, and if you have any sanitaryware in mind, test out the dimensions given in the specifications. If you don’t feel comfortable planning your space yourself, we help you plan an exciting new look for your bathroom. Simply call us on 01179 619 021 or get in touch with us here, to discuss your new bathroom with us today.